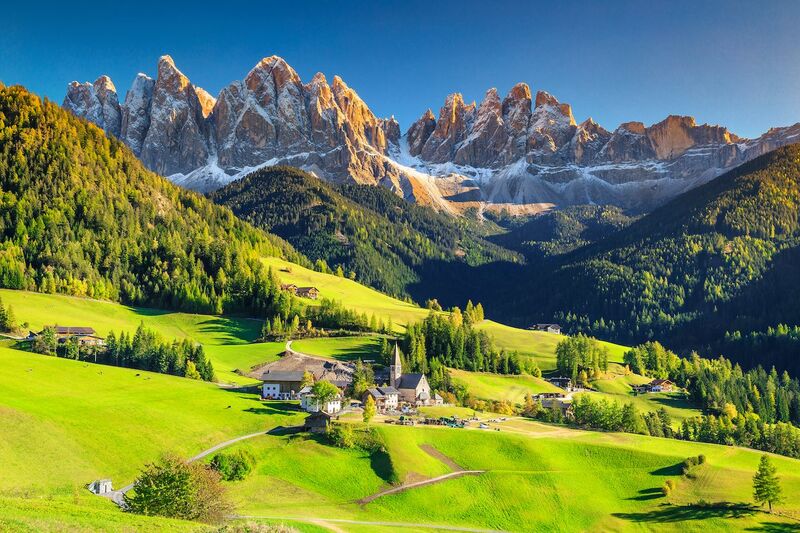 We’re not quite sure why Italy isn’t as popular a hiking destination as places like Patagonia, Iceland, or the Pacific Crest Trail. 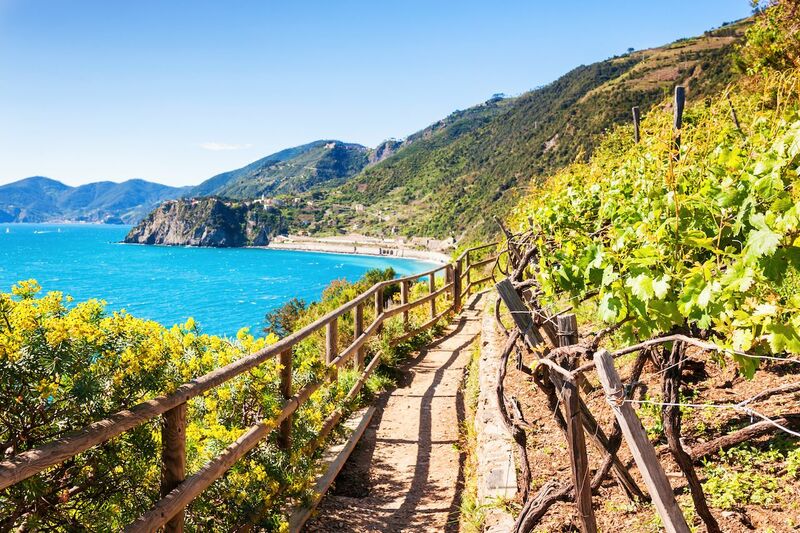 Italian hiking routes can go from volcanoes to Roman roads and vineyards to castles; best of all, there’s the treat of pasta, bread, and lots of wine at the end of the day. Perhaps most tourists would rather take in all that delicious Italian food in the cities without having to work for it, but for those that are willing to make the trek, they’ll be rewarded with stunning vistas and virtually no crowds. This hikers’ guide to Italy provides routes for various skill levels, interests, and time constraints while suggesting the best local food and places to stay in each area. Be sure to lace up those boots and hit the trail before the secret gets out and it becomes the new hiking hotspot. High up, away from the mass of tourist crowds, the Path of the Gods runs along the Amalfi Coast from Bomerano (a faction of Agerola) to the hamlet of Nocelle, and provides magnificent aerial views of the famous colored villages and the island of Capri. Ideally, walkers should begin in Bomerano and finish in Nocelle as the route slopes gently downhill in this direction. 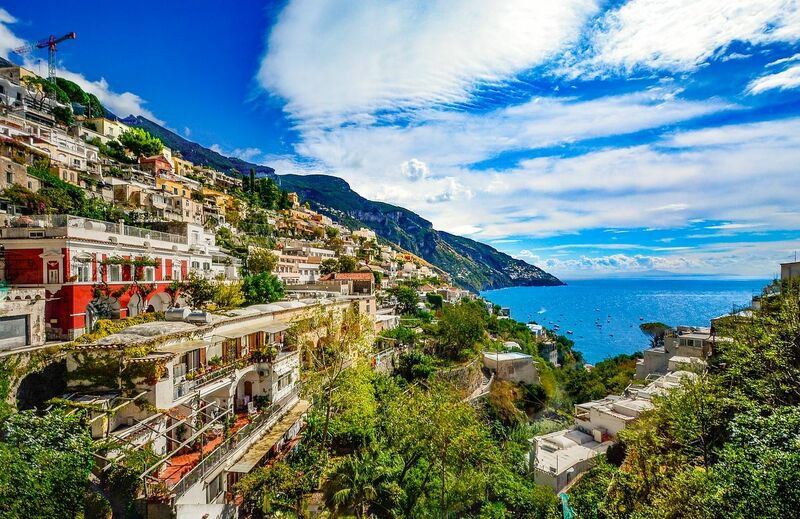 On arrival in Nocelle, you can climb down 1,500 steps to reach the center of Positano, or take the bus, or a further 300 steps to Arienzo beach to cool off in the sea after your hike. The walk takes a few hours or around half a day if done leisurely. Once at the hamlet of Nocelle, you can continue along the road for around 1 km to reach La Tagliata restaurant. Its simple, traditional dishes will give you some much-needed nourishment, and the panoramic view from the terrace across to the island of Capri will be a memorable end to the hike. 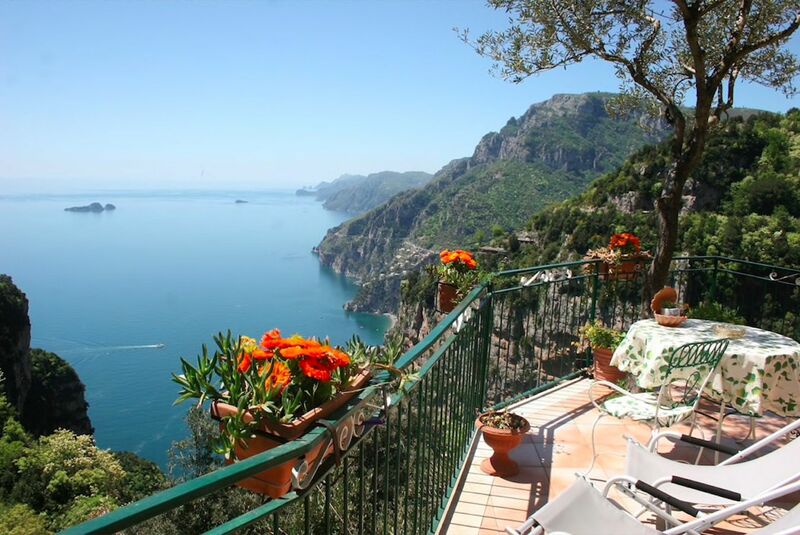 Depending on how you want to spend your time in this area, you could stay down in Amalfi, particularly as to start the route in Bomerano you can get one of the Sita buses from Amalfi. However, if you want to remain above it all away from the crowds, you could try this Airbnb in Nocelle, an elegant villa with, naturally, a panoramic terrace overlooking the sea. This most famous of the walking routes in Cinque Terre runs around the cliff and links all the five villages, now so popular for their bright houses and little fishing ports. It is a paid route, mainly because of necessary maintenance to the paths (before going check which parts of the route are open), but the ticket also allows you use of the bus services in the five villages and free entrance to some museums. The route can be done over a day or couple of days. Other free (and less crowded) paths include the trail of the Sanctuaries passing several of the most famous sanctuaries in the area. The trail passes through the five villages. 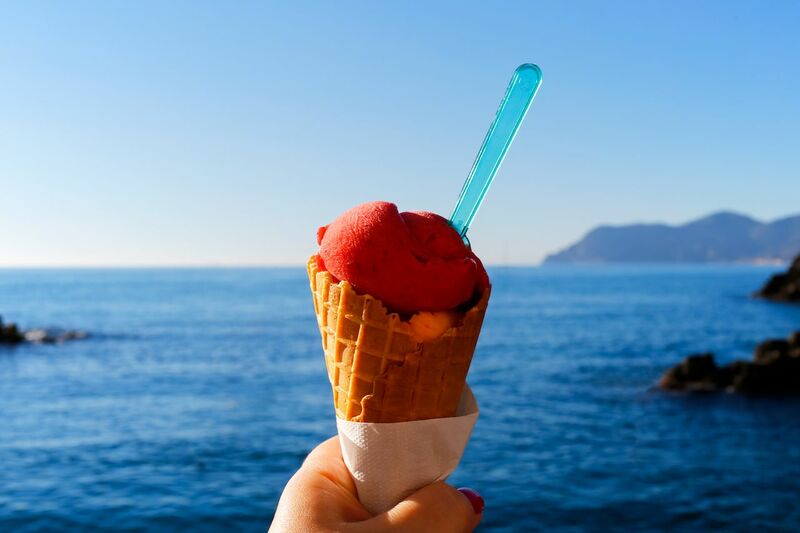 Stop for the famous focaccia of Il Frantoio in Monterosso, and an ice cream at Gelateria Vernazza, in Vernazza, which general consensus says is the best in Cinque Terre (actually Cinque Terre has fairly consistently good ice cream so have one in each village!). Just out of Vernazza and on the Sentiero Azzurro itself, you can find the “Hermitage on the Sea,” a rustic villa with fireplaces and a sea-view terrace. 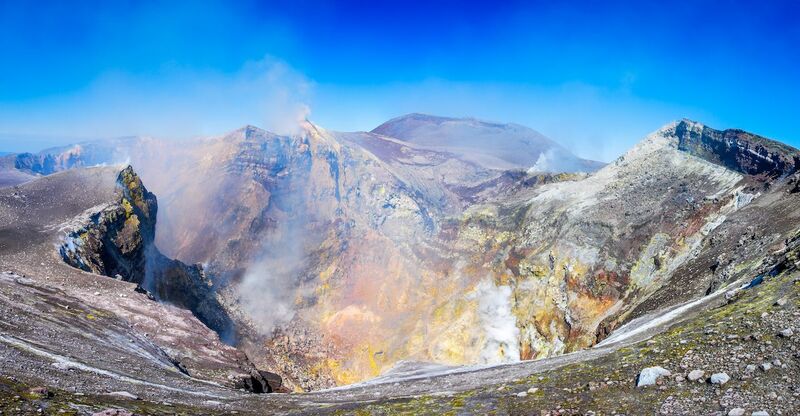 With regular spectacular eruptions, Mount Etna is one of the most exhilarating hikes you can try in Italy. There are a host of route options for varying skills levels, with some going up to 4,500 feet. En route you can discover ravines, caves, and seas of ancient lava. Guided hiking tours are also available with local tour groups which often include a traditional Sicilian lunch or visits to vineyards and honey manufacturers. You can choose half-day, full-day, or even multiple day excursions. Try the self-proclaimed “window onto Mount Etna” for a proper hiker’s experience. Rifugio Sapienza (also the southern access point to the volcano) is an example of a particular type of hospitality found in the mountains in Italy, called “rifugi,” which offer accommodation and food. Here nightly rates are reasonable and the food is typically Sicilian. 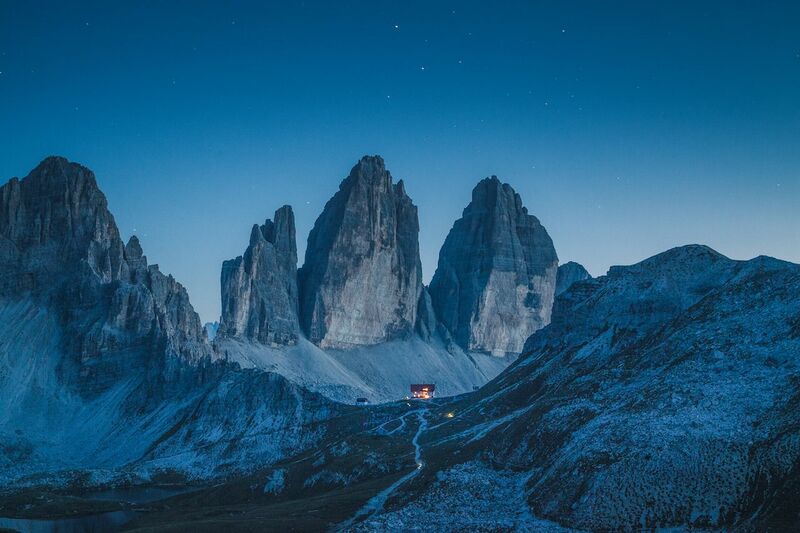 For those looking for a full walking holiday, try this 10-day trek through the dramatic scenery of the Dolomites. At one end, you find the beautiful turquoise mountain Lake Braies and at the other, the scenic town of Belluno. Along the way, the landscape varies from alpine pastoral to vertical walls and sheer peaks. Using this walking guide and trip planning service, you will be provided with accommodation each night in wooden mountain “rifugi,” which translates to refuge, and are little huts that are actually considered one of the main attractions of walking this route. They’re very basic in amenities, but they usually serve Italian comfort food (think bean soup and pasta with mushrooms) to fill you up after a long day of walking. You can also book them privately online through individual websites. If you’re looking for walking combined with some classic Italian culture, try the Renaissance Ring Trail which follows a big circuit around the famous art city of Florence. Amongst the Tuscan hills and fields, you can stop at monasteries, castles, countryside churches, and sections of Roman and medieval roads. It is around 170 km long but each section is linked by public transport to the center of Florence so it can also be done in small trips too. 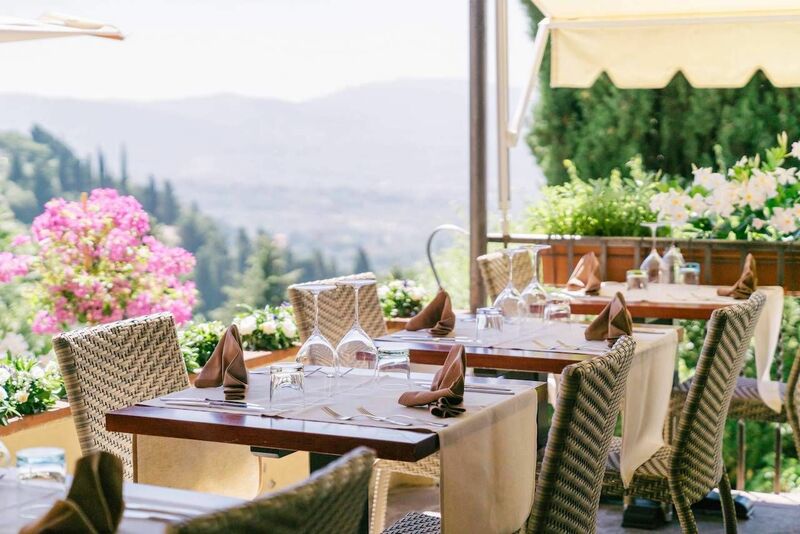 It may not be the most budget-friendly place, but with truffle pasta, steak tartar and, of course, the classic Fiorentina steak, it’s well worth splashing out after a hard day walking at La Reggia degli Etruschi. 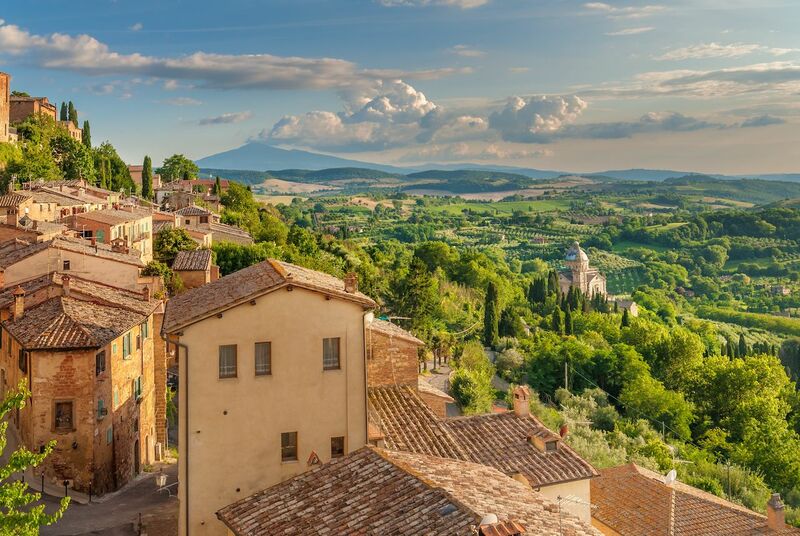 Florence itself offers accommodation for all budgets and needs, but really, when in Tuscany accommodation should certainly be in an agriturismo, or farm stay, in the countryside. There are a myriad of these country idylls near the Renaissance Ring route, for example, Villa di Campolungo near the ancient town of Fiesole. The sunny yellow farmhouse has wooden beams and a large terrace to enjoy a classic Tuscany view. 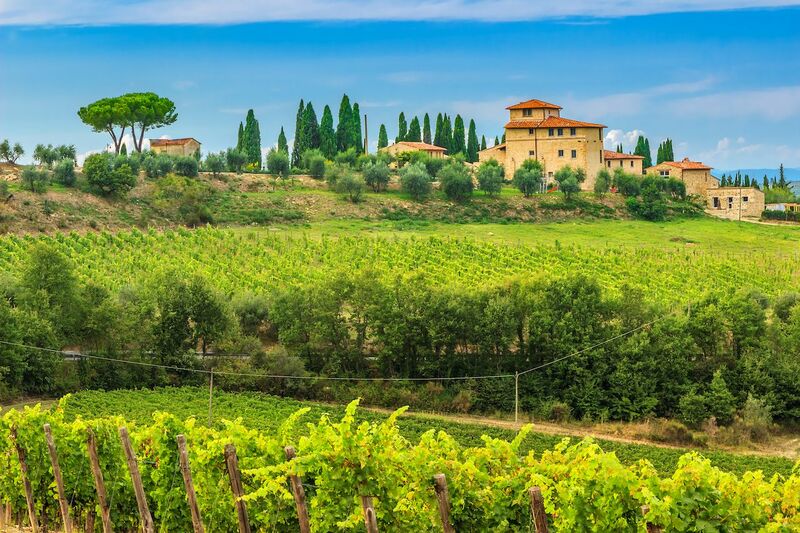 Walking around the Tuscan countryside from vineyard to vineyard makes for a pretty idyllic holiday. 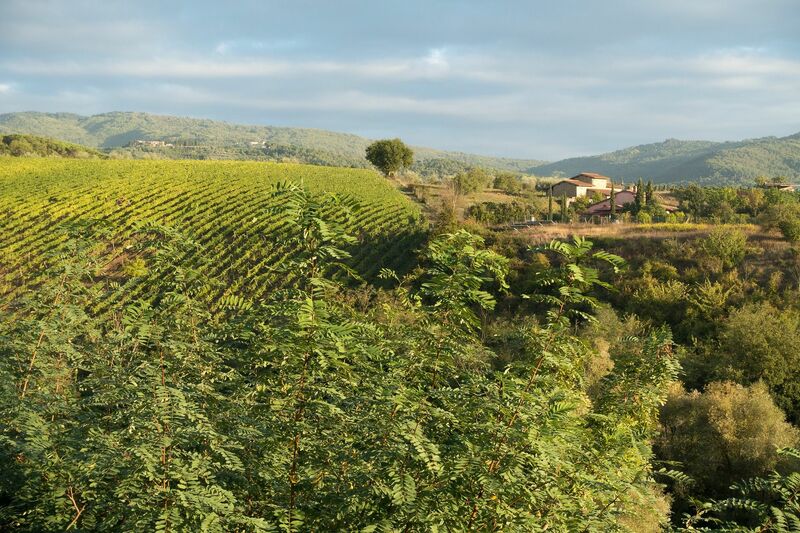 The Chianti area offers several trails to choose from, which also pass castles, medieval villages, and ancient convents. The Tourist Information office in the town of Gaiole can furnish you with an excellent map of the various routes. You are naturally spoilt for choice in this area, and stopping at any rustic-looking “agriturismo” while out walking will rarely disappoint. If you base yourself in Gaiole, however, you are also in the location of one of the best restaurants in Chianti — Ristorante Malborgetto. Not only can you eat delicious foods like truffles, you can also take a break from walking and follow a cooking class teaching you how to use them. You can do no less than sleep in a four poster bed in an exposed-stone-wall bedroom, like a true Italian noble. At Antico Podere Marciano, you can also enjoy terraces, gardens, and a pool with a panoramic view.